Since last spring I’ve had this niggling feeling that I should better organize our math manipulatives. We use the homeschool math curriculum Right Start Mathematics, which is a good fit for me and my third-grader, and it comes with lots and lots of little bits and pieces and sets of cards. I have a small secretary desk in my living room that is dedicated to holding our math supplies. The problem was that I couldn’t close it anymore because it was so crammed full with our manipulatives, cards, and the various sandwich bags or dog-eared envelopes I was employing to hold them. 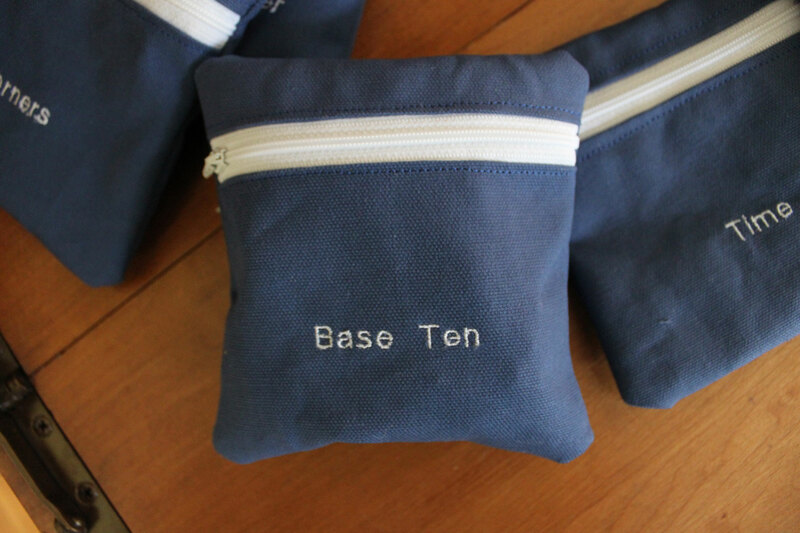 I bought some white zippers in bulk and used canvas left over from our field trip bags to make 13 zipper bags for our math supplies. I took the time to embroider a label onto each bag, which seemed like “OMG, have I really become a person who embroiders labels on to homemade canvas bags to hold math manipulatives?” but yes, it seems I have. Assuming we stick with this curriculum, I’ll be using these supplies for many more years, and I’d have been mad if my previous disorganized system had caused me to have to re-purchase supplies I could have kept track of better. I am not, under any circumstances, going to follow this project up by crocheting a cozy for our abacus. So here we go. Hopefully these bags and I will have quite a future together, and it’ll be worth the time spent when my current toddler learns her fractions with their help. And if there is just a little voice in the back of my brain that says, “really? 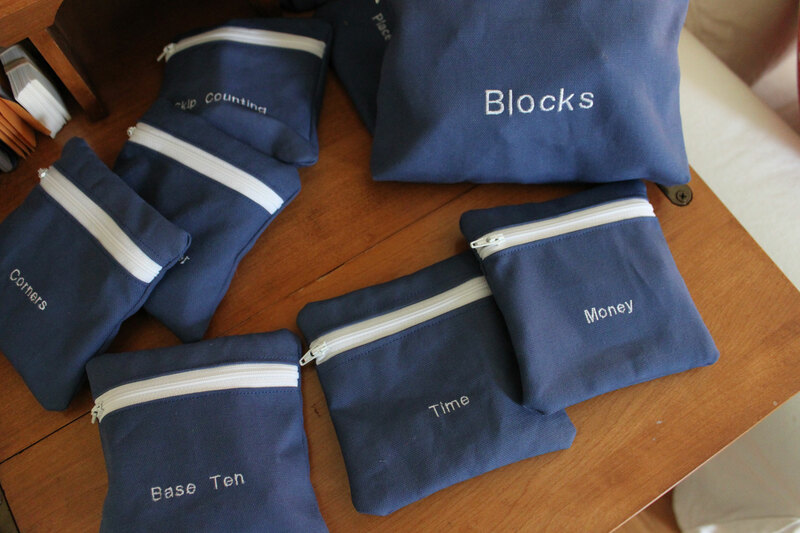 You made special bags to hold math supplies?” I’ll just tell it to shut up. In Latin, because that’s all homeschool-y, right?